Conversion of Law Professors into Justice: Is it a Dream or Possiblity? The law professors constitute a big constituency of academics in India who are engaged in law teaching and research in different universities and colleges, producing thousands of lawyers and judges over the years. They are highly qualified, in fact more qualified than their other counter parts, judges and lawyers, but their stake in legal profession is less recognized. In fact, they are highly ignored by their other counterparts, as well as the Government. They have very few opportunities to contribute for the judicial system of the country and people look them down. It is generally assumed that they are confined only up to the lecture halls and cannot give substantial input to the Government which may be helpful in the practical working of the legal system. Even in the 21st century, when other sectors are growing fast, the law teachers are fighting for their recognition. Can they not perform better if proper opportunities are given to them? The answer seems to be in affirmative. The law teachers have huge talent and if their talent is utilized they can certainly make wonders in the juristic world. The present paper deals with the scope of law teachers’ participation in the adjudication process in the country particularly their chances of appointment as judges of the constitutional courts. The author has written the paper keeping in view his own experience of the working of legal education system in the country. The Constitution of India is the supreme law of the land which provides the procedure of appointment of judges working in different courts, that is, the Supreme Court, the High Court and the District Courts. In case of appointment of the judges of the Supreme Court, there is a provision of appointment of the ‘distinguished jurists’ under Article 124 (3) of the Constitution. But who is a ‘distinguished jurist’, that is the main question. Generally three kinds of persons are eligible to be appointed as judge of the Supreme Court. As per Article 124(3), sub-clauses (a) and (b), the Judges of the High Court in service and practicing advocates can be elevated to the Supreme Court, and sub-clause (c) provides that a distinguished jurist, in the opinion of the President, can also be appointed as a Judge of the Supreme Court. In practice, only the High Court judges and practicing lawyers of the High Court and Supreme Court are appointed as judges of the Supreme Court. The normal trend is that either a senior High Court judge or any Chief Justice of the High Court is appointed as judge of the Supreme Court. Rarely any direct appointment from the Bar is made to the Supreme Court. In the past only a few judges such as S. M. Sikri, Kuldip Singh, Santosh Hegde and recently Rohinton Nariman and U. U. Lalit have been appointed as Supreme Court justices from the Bar. But unfortunately no judge has been appointed to the Supreme Court from the academia till the date. There were and still there are so many distinguished professors of law who can perform better than traditional lawyers and judges if opportunities are given to them to serve the apex court in the category of distinguished jurists. What is the reason, that the Government is not appointing the academics as judges of the Supreme Court, it is really difficult to understand. Whether our country has no distinguished jurist or the term itself is perceptive or is it only name sake. Has the term become ‘extinguished jurists’? For getting answers of these complex questions, first we would have to identify who is a distinguished jurist and secondly why the Government has not appointed anyone from this category to the Supreme Court. The expression “distinguished jurist” is not defined in the Constitution. It has to be explained in the practical sense. And when we understand it in that sense it includes all those eminent persons who are involved in the practice and teaching of law including lawyers, judges, academics and even renowned scholars who are engaged in deep research of issues pertaining to law and justice. These people should be well-known for their outstanding contribution. They should not be ordinary salary-drawing employees but should be authorities in their fields. Their works must be duly recognized and cited by the courts of law during the adjudication process. They should produce knowledge for the profession. Even if somebody does not practice law in the court, if he has produced a high quality literature and established eminent position he can certainly be acknowledged as a distinguished jurist. Practicing law is not the condition precedent for being a distinguished jurist. Professors produce knowledge for the legal profession by writing high quality books on different subjects that become helpful to the judges and lawyers in their judicial adjudication and they recognize the professorial writings. Though generally these kinds of writings do not have any binding effect on the judges, it certainly makes a persuasive impact on them which they utilize in their judgments by deciding complex legal issues. It is pertinent to mention that Kamath’s amendment was adopted by the Constituent Assembly. But unfortunately no appointment has yet been made to the Supreme Court from this category since the commencement of the Constitution. Why, it is difficult to answer. Whether the Government did not find any distinguished jurist in the country who could be appointed as a judge of the Supreme Court, this is a key issue which needs serious discussion. It appears that the Government has deliberately ignored this constitutional provision. Eminent legal philosopher Professor Upendra Baxi has also raised this question in one of his articles. This is what he said: “For fifty long years, the constitutional provision, which enables the elevation of a jurist to the Supreme Court of India has been consistently ignored. This has deprived India of its best prospect of conversion of a law Professor into a Justice. The prospect of having our own equivalent of a Felix Frankfurter has been willfully squandered.” The author fully endorses Professor Baxi’s views and submits that the Government is willfully underutilizing the academic talent. 4. 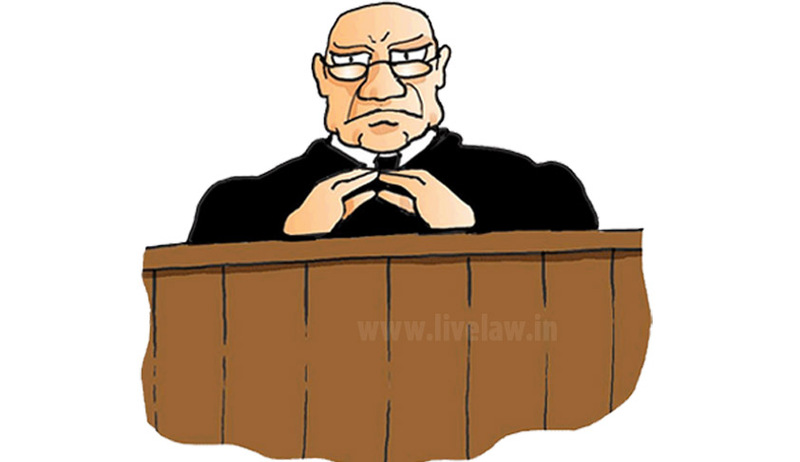 Why law professors should be appointed as judges? Appointing distinguished jurists as judges of the Supreme Court will be very useful from many angles. Let us see how. The Supreme Court of India is the constitutional court which is final appellate court, dealing both with appellate and original matters with substantial questions of law involving constitutional interpretation and interpretation of various statutes framed by the Parliament and the State Legislatures. During this process of interpretation, the Court not only declares the law but also some makes the law which is called as judge-made law. There are many examples of judge-made law in our country. As per Article 141 of the Constitution, the law declared by the Supreme Court is binding on all courts and tribunals within the territory of India. The Supreme Court is the most powerful court in the world in terms of exercising its judicial review power and by exercising this power under Article 32, 132, 133, 136, and 142 of the Constitution; it has made wonders sometimes positive but sometimes negative also. It is fully empowered to declare any law unconstitutional if that violates the constitutional provisions as per the mandate of Article 13 of the Constitution. It is the guardian of the Constitution, which is the supreme law of the land in this land of Mahatrma Gandhi. The people of India also hold the Court in high esteem and whenever the Government violates their fundamental rights they rush to the court for getting justice. Whether the Court gives them justice or just delivers judgments, that is a different story which can only be observed by an insider and not by the outsiders who are not aware about the working of the Tilak Marg jurisprudence. As stated earlier, there are many examples of the law-making activity of the Supreme Court such as its landmark judgments in the Kesavananda Bharati case (Doctrine of Basic Structure), Vishakha case (prevention of sexual harassment of women at the working place), S. R. Bommai(Article 356) etc. In these cases and in many more, the Court has made the law which changed the direction of the governance in the country and compelled the Government to run the administration as per the constitutional mandate. Deciding high profile cases pertaining to constitutional jurisprudence and other laws, the Court needs a multi-faceted Bench: having judges who are experts in different branches of law and its practice, research, public policy and sociology of law and who have high quality jurisprudential intellect. As the Supreme Court is the last court for the aggrieved persons, it cannot take the chance. If anything goes wrong in the apex court that can ruin the life of many people. So, there is a need fool proof justice by the apex court. The decisions of the Court guide the legal destiny of the nation. The people who adorn the highest Bench should be fully equipped in adjudication jurisprudence and deliver high quality judgments which must not only be cited by the lower Benches but should be cited in foreign jurisdictions also. The Supreme Court of India should at least lead the continental jurisprudential governance. The time has come when the judgments of our Supreme Court should be cited and followed in advanced countries such as U.S.A., U.K., Australia, and European and other countries also. Our apex court should be a role model in the Third World jurisprudence. Keeping in view the limits of human faculty, it also needs expertise in different areas, particularly the emerging areas, which is generally beyond the command of the traditional people. That is why it is possible only if the judges are also appointed from the different areas including academics whose knowledge is of high quality. As the Supreme Court is the final constitutional court of the country which decides complex issues pertaining to legal philosophy and sociology, there is an urgent need of its intellectual restructuring. Only the traditional lawyers and judges will not be able to deliver better results. Involvement of creative minds in the adjudication process is a must. The Supreme Court should have at least one or two judges from the category of distinguished jurists including renowned law professors and authors also. Now the question arises from where the Government can find the distinguished jurists? Let us make an attempt to answer this question. 5. Where the distinguished jurists are found? Then, Sir, I agree with my honourable Friend, Mr. Kamath, when he says that the choice of Supreme Court judges ought not to be limited to judges already in service and of ten years' standing. He has moved that it ought to be open to the President, if he so chooses, in the interest of proper administration of justice, to include a distinguished jurist. His amendment does not make it obligatory upon the President to choose only a jurist only among jurists. In various cases a Supreme Court has to deal with constitutional issues. A practicing lawyer barely comes across constitutional problems. A person may enter the profession of Law straightaway. He might be a member of a Law College or be a Dean of the Faculty of Law in an University. There are many eminent persons, there are many writers, there are jurists of great eminence. Why should it not be made possible for the President to appoint a jurist of distinction, if it is necessary? As a matter of fact, I would advise that out of the seven judges, one of them must be a jurist of great reputation. I am told, Sir, by my honourable Friend, Shri Alladi, whom I consulted, that some years ago President Roosevelt in the U.S.A. appointed one Felix Frankfurter. He was a Professor in the Harward University. That was a novel experiment that he made. Before that, barristers were being chosen and also persons from the judiciary. This experiment has proved enormously successful. He is considered to be one of the foremost judges, one of the most eminent judges in the U.S.A. Therefore, Sir, I am in agreement with the proposal to add a jurist also, a distinguished jurist, in the categories for the choice of a judge of the Supreme Court. Justice Frankfurter’s example is a great source of inspiration of encouragement for our country. In his abovementioned observations Mr. Ayyangar clearly states that the distinguished jurists can be taken from the law faculties and colleges. He also mentions that the renowned authors and scholars who may be covered in this category. In one of his articles Mr. Prabhash Ranjan states that Justice Frankfurter went on to become one of the most celebrated judges of the American Supreme Court and a noted advocate of “judicial restraint” — something, which our constitutional polity desperately needs. Even among the current judges of the American Supreme Court, Justice A.M. Kennedy, before being nominated to the Supreme Court by President Reagan in 1988, was a Professor of Constitutional Law for 23 years. Similarly, Justice R.B. Ginsburg, another current Associate Judge of the U.S. Supreme Court, taught for 17 years including at the Columbia Law School before becoming a judge. In United Kingdom also, judges like Lady Hale had served in the academia for a long time and thereafter she graced the highest Bench. Can we also find such brilliant minds in our county? Yes, we can. Now the question arises do we have or ever had eminent jurists such as Justice Frankfurter in our country. Yes, we had and we still have such eminent professors who can grace the Bench of the apex court and can perform better than traditional lawyers and judges. It only depends on the Government whether it is serious about the idea or not. In the past we had many eminent professors and scholars of law in our country who contributed a lot to the field of law and justice by producing high quality treatises and books on different subjects of law. Professors such as V. N. Shukla, M. P. Jain, P. K. Tripathi, Alexandrowicz, T. S. Rama Rao, Professor S. P. Sathe, G. S. Sharma etc. have made us proud by their extraordinary juristic writings. Their contributions cannot be described in words. They were really great professors, if fact, the founding fathers of legal education in India who changed the academic horizons during the initial days. On the other hand some legal practitioners such as H. M. Seervai and D. D. Basu have contributed immensely to the area of Indian constitutional law by writing their magnum opus. Seervai’s book on Constitutional Law is the great gift to the legal profession. He was a fearless lawyer. His critical analysis of judgments of the courts is matchless. He was completely dedicated to the cause of justice. He was fully objective and had an extraordinary intellectual honesty and sincerity of purpose. Basu and Shukla were equally eminent jurists who made immense contribution to the legal profession. It is their books which made them immortal. In the present generation of academics also we have a number of eminent professors of law who have made visible contribution to the field of law by producing high quality books and treatises and have taught thousands of students who became renowned lawyers and judges. Professors like Upendra Baxi, M. P. Singh, N. R. Madhava Menon, Ranbir Singh, R. Venkata Rao and some others have set high benchmarks dedicating a huge portion of their life time to the country for the cause of justice. Professor M. P. Singh has kept the academic legacy of Professor Shukla alive by publishing revised editions of his book on the Constitution of India. Professor Singh is an international constitutional law scholar of high repute. Professor Rao is an international scholar of jurisprudence and an academic leader par excellence who is heading the most prestigious law University of the country. I have been lucky to get the benefit of his intellectual assets. These professors are institution-builders. Their writings have been frequently cited by the judiciary in various pronouncements. Besides these professors, there are others also who equally deserve and can contribute a lot if opportunity is given to them to be the part of the adjudication process in the country. Today almost every state has a National Law University which is striving to improve the quality of legal education sending hundreds of graduates every year into research, practice and academia. There are about fourteen National Law Universities in the country. The National Law School of India University, Bangalore is leading the law teaching institutions in the country under the dynamic leadership of its Vice-Chancellor, Professor R. Venkata Rao, a well-known academic who also inspired other institutions to grow. New generation of lawyers are coming up in these law schools, getting educated at reputed international law schools. Most of them are spread over High Courts and the Supreme Court while some of them are pursuing academics after specialization and research. Most industrious and innovative of them could get a chance to enrich the Bench if Article 124(3) (c) is put to use. In fact, the National Law School graduates can make wonders if in the coming times they are included in the category of robed brethrens who decide the fate of millions of men and women. Today and even tomorrow these universities will be the best place to create the future judges of the apex court. These universities are the academic mines. Besides the abovementioned National Law Universities, some traditional Law Departments and private law colleges have also contributed too much for the legal education system of the country. The Law Faculties of the Delhi University, BHU, AMU, Allahabad, Punjab University, Chandigarh, University of Pune etc. have made visible positive contribution to the academic world by producing talented lawyers and judges. Symbiosis Law School, Pune and ILS, Pune and also equally been the part of academic creativity. Their students have touched all heights in the juristic world. The dynamic leadership of Professor Shashikala Gurpur has dramatically changed the academic course at Symbiosis. Her contribution as a member of the Law Commission, a Commission which once had even Justice Krishna Iyer as its member, added huge value to the cause of justice particularly empowerment of women and developing women leadership in the country. She is helping her students to become ambassadors of cause of justice not only in the country but abroad also. Today Symbiosis is one of the top ten law schools of our country. But there is another story also which disappoints us. All academics and academic institutions are not good and meritorious. Some of them are dull. They are just working like law shopkeepers. They only get salaries and do not produce anything worth reading or qualitative. They only teach law and that too casually from the books or guides. They do not even attempt to write a single page. They only focus on academic functions and seminars for increasing their API score so that they could get promotions and higher salaries. They only write in their answer sheets during their university days. Would such people deliver good results? I do not think so. They can if they work hard and make up their mind to be the part of creative academic discourse. The academic knowledge is very useful in litigation also. It is beyond doubt that the academics are more qualified than the ordinary lawyers. Academics possess higher knowledge and if they utilize that knowledge for building positive legal theories that will certainly be appreciated by the other stake holders of the profession. The academics are generally good orators and can argue well in the courts. They can present good legal principles before the judges in complex cases involving juristic issues pertaining law, society and governance. There are some lawyers in the Supreme Court who have made excellent contribution by utilizing their past academic background. One would be surprised to know the contribution of eminent senior lawyers such as Mr. P. P. Rao, and Dr. Rajeev Dhavan who have rich academic background. Both of them made outstanding contribution to the field of constitutional litigation. They are great source of inspiration for the academics. After serving the academia for a long, these two eminent lawyers entered into practice and made the academia proud. They made a great experiment which was successful and creative. But they took risk and that changed their career. Today both of them are eminent constitutional law jurists who are well-recognized for their contribution to the Tilak Marg jurisprudence. Some other eminent senior lawyers are also there who entered into the Bar after teaching law for some time. Salman Khurshid is one of them. A product of Oxford University and a student of eminent legal philosopher Ronald Dworkin, Khurshid taught law for three years at Trinity College, Oxford. Later he came back to India and practiced in the Supreme Court. It is well-known how much Mr. Khurshid contributed for the country. He became a Union Minister of Law and Justice and also External Affairs and today he is one of the most celebrated jurists of the country. He utilized his high academic caliber for writing good books on contemporary social issues and also in the law-making process as a minister. He is really a great source of inspiration for others. 6. How the law professors can be included in the judicial system? The author is of the view that the law professors produce high quality knowledge for the legal profession which helps the judges in the adjudication process. They can contribute better as judges also. They should not be confined only to the lecture halls. They should also be engaged in the practical teaching, focusing on high quality research and publications. Not only in judicial bodies such as the Supreme Court, High Courts, but also in some other quasi-judicial bodies they can contribute too much if opportunity is given to them. Bodies such as National Human Rights Commission, National Commission for Women, National and State Consumer Commissions, Tribunals, Central and State Information Commissions and Competition Commission, Telecom Commission, Finance Commission, Law Commission, Public Service Commissions, etc. may provide a good platform to the legal academics to contribute to the field of law, justice and governance. It is beyond doubt that in terms of intellectual assets the law teachers are richer than judges and lawyers. It is only the efforts and opportunity which matter. If these people are given good assignments in judicial and quasi-judicial bodies, it will certainly change the quality of the legal profession and the image of the profession will be improved in the eyes of the common men and women. Our universities should act like human-welfare institutions, and not only degree distributing houses. The knowledge which is imparted there should be used for intellectual growth of the country. In view of the above discussion it is humbly submitted that the time has come when the Government should appoint judges from the category of distinguished jurists particularly the law professors who have made visible contribution to the legal world by producing high quality literature. Besides the apex court, the provisions may also be made in the Constitution and other statutes to appoint the legal academics in High Courts, Tribunals and various commissions as members and Chairpersons. It should not only be the prerogative of the Babus, retired judges and lawyers to man these bodies. The academics can equally perform well in these august bodies which are engaged in delivering justice. The Bar may also engage the academics in the litigation process on part time basis and can get the benefit of their knowledge which they possess in abundance. They can send opinion matters to the academics and take their assistance. The route of law journals is also a good one which can be strengthened to initiate an academic discourse among the judges, lawyers and professors. The judges should be liberal in citing the academic writings so that the academics could be encouraged to produce high quality literature. The professors are expected to produce knowledge for the legal profession which should be used for the human welfare. Only the traditional arguments cannot produce good results. But it also depends how eminent are the professors of law. Only designation would not serve any purpose. The country needs more eminent professors like Upendra Baxi. The professors should first establish their credentials by making Himalayan academic contribution to the cause of justice and only thereafter they can claim something. For achieving this target the quality of education needs to be improved. The academics should undertake high quality research pertaining to the practical side of the legal profession which could help the judges also. They should involve themselves in the arbitration process, opinion jurisprudence and constitutional adjudication. They should organize seminars, conferences, lectures on contemporary legal issues and suggest the measures to deal with such issues. The academics are social scientists and they can certainly help to mitigate the litigation. They can find out the reasons of increasing litigation and social conflicts. They can increase their participation in the legal aid movement and poverty eradication jurisprudence. Everything is possible if will power is there. But keeping in view all these things the Government should initiate a process to include the law professors in the judicial system so that a good message could be given to thousands of people who are unfortunately treated as second grade citizens for many years. Just give them opportunity, and see how they perform. Just make an experiment my dear governors of this land of V. R. Krishna Iyer!